Creme Egg Brownies are not a new concept, but they’ve remained popular over the years because they’re so damn delicious! I’ve made them several times but I hadn’t shared the recipe on my blog yet, so I thought it was about time as they are so indulgent and heavenly! So I’ve combined my favourite gooey chocolate brownie recipe with Creme Eggs baked into it for the ultimate Easter treat. They are super easy to make too, and the secret is that you add the Creme Eggs in part way through baking so they don’t melt completely. 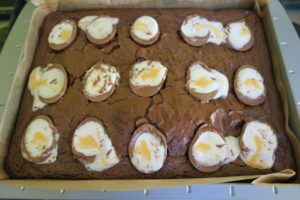 If you make one thing this Easter let it be these Creme Egg Brownies! 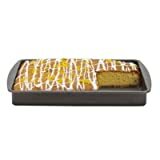 I poured the batter into a lined traybake tin. While it baked for 20 minutes, I cut the Creme Eggs in half. 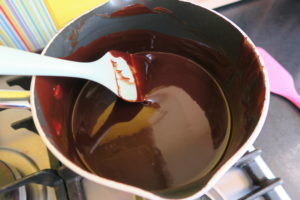 I took the brownies out of the oven, pressed the Creme Eggs in, then they went back in the oven for another 10 minutes. 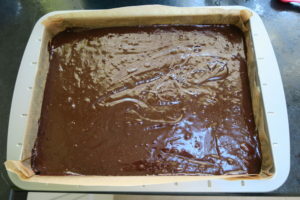 I let the Creme Egg Brownies cool completely before removing from the tin and slicing up. The Creme Egg Brownies were absolutely delicious as I expected! 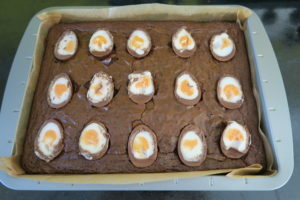 The brownie is super gooey and rich, and the Creme Egg on top is the perfect Easter addition! 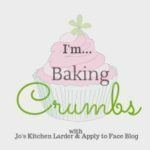 I’m linking this recipe up with Cook Blog Share hosted by Recipes Made Easy, Bake Of The Week hosted by Casa Costello and Mummy Mishaps, Baking Crumbs hosted by Apply To Face Blog, and Fiesta Fridays hosted by The Not So Creative Cook and Fiesta Fridays. 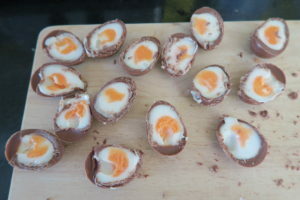 While it is baking, cut the Creme Eggs in half. 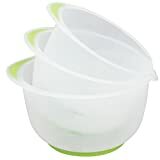 There will be one extra half - the perfect snack for the chef or a nearby child! You can find more of my Brownie recipes by clicking here! Or for more Easter recipes click here! Oh you definitely need to get into the creme egg baking! I hope you do soon! I hope you give them a try Jacqui! I may sound like a broken record here, but I love brownies in any form. These are absolutely heaven! Thanks for sharing at Fiesta Friday, Kat! I agree Jhuls, brownies are always good! Looks ace as always, and brownies are so good around Easter time especially! Wow, these look amazing the perfect treat for Easter. Oh wow. 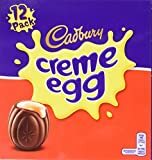 I love the look of these and how gooey the creme eggs look. What a fun idea Kat – I’m sure my boys would love these! 🙂 Oh, and who ate the spare half egg! 😛 Thanks for sharing at Fiesta Friday. 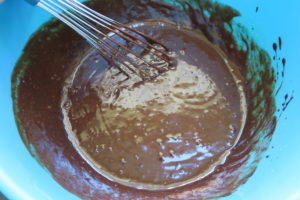 These brownies look so nice. I bought some eggs to make my own version (not Cadbury, I’m not buying those due to their shady policies regarding palm oil). 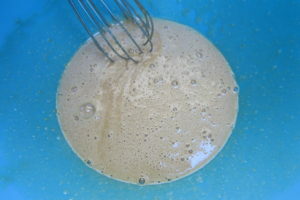 I will keep your recipe in mind for when I’m making mine. I agree, such a perfect combo! These look delicious and I’ve got a wee one who is a bit partial for a bit of chocolate and/or a cream egg who would absolutely love these! Oh they sound perfect for your little one!